Swanky spaces by Karl Lagerfeld, four restaurants and a flagship Givenchy spa make the Hotel Metropole a destination in itself..and a place you may never want to leave. The Hôtel Metropole Monte-Carlo’s unassuming gate gives little away about the Belle Époque mansion that lies just beyond. This is not a place to see and be seen. Instead, it’s a low-key retreat for the Monaco and international elites who come here to escape the daily grind in complete privacy. The vast lobby oozes Old World charm with its dramatic art installations, flower displays and custom soundtrack.. 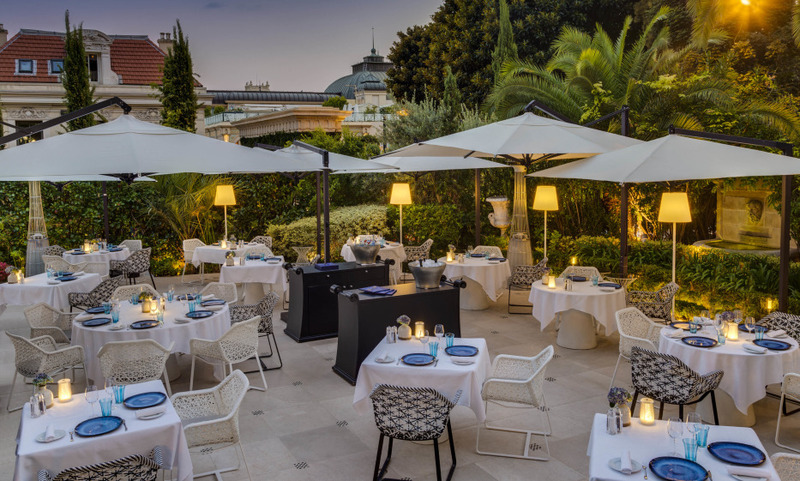 But the Hôtel Metropole Monte-Carlo is not all classic decor and glamour, courtesy of a fabulous rooftop pool and lounge area imagined by designer Karl Lagerfeld. The heated seawater pool is one of the most beautiful you’ll see in Monaco, surrounded by cozy cabanas, gardens and oversized images of Greek legends mounted on glass screens. Day or night, it just looks camera-ready for a photo shoot while next door, the sumptuous Givenchy spa designed by architect Didier Gomez is just as impressive with glorious views over the Casino de Monte-Carlo. At the Hôtel Metropole, old-school glamour meets modern luxury and there is nothing quite like it. Kindly note that The Odyssey area will be closed until April 3rd 2019. Guests will have access to the swimming pool at the Monte-Carlo Bay Hotel & Resort. Superb location in the Carré d'Or Square, just a few steps from the legendary Casino. All rooms and suites have been renovated and decorated by Jacques Garcia in a Classical Mediterranean Style. Step into the world of well-being at the Spa Metropole by Givenchy and enjoy a special moment of relaxation. Luxury hotel with very friendly staff and amazing food. A haven of peace in the heart of Monaco which offers every creature comfort you can imagine. It is definitely one of the best hotels in the world. The service was excellent and the location very nice. Monte-Carlo is perfect! Fabulous hotel, as I cannot walk far,, it was perfect for me to visit the high end designer shops and the casino.